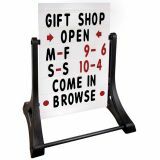 Drive more traffic to your booth and enhance your visibility with these attractive Portable Tradeshow Signs from Tuff Flags. 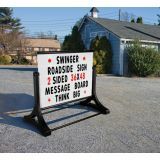 Steal the show and grab the attention of your audiencewith these imprinted portable signs that will maximize the impact of your message. 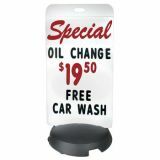 Portable signs are easy to set up and transport across various venues and can be reused many times which makes a highly effective and budget friendly advertising option. 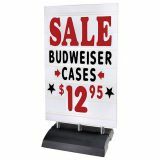 Shop from our collection of Portable Signs and you'll find our best prices, quick shipping and much more! 100% customer satisfaction guaranteed! Tradeshows are massive events that draw huge crowds and when you here to make business, you need to stand out in the seas of companies that are vying for attention. 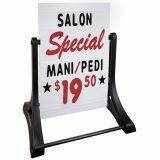 Our Portable Signs are easy to install and light weight which makes it a perfect pick for do-it-yourself exhibitors. 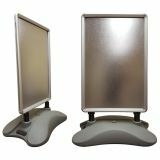 Choose from a range of models and sizes depending on your tradeshow display requirement.Portable signs are easy to use, light weight and are well suited for small spaces and corners. 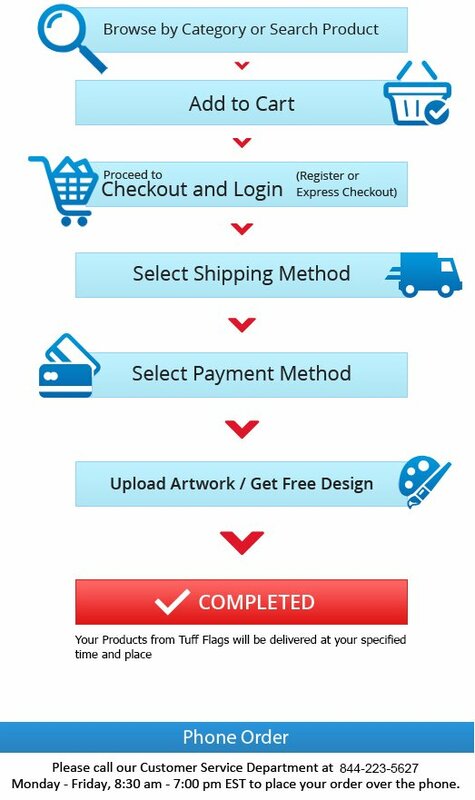 These can be set up in a few minutes without any help from others which makes it a perfect choice for small businesses. 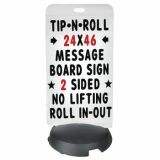 Portable signs will ensure a high visibility for your message in a very cost effective manner. 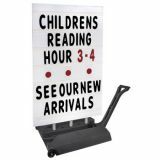 Simple yet effective, portable signs can handle all your display needs with ease as these can be carried across event venues with ease. 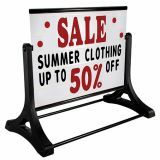 The best part is that Portable Signs can be used as a stand alone display option or can be combined with other display banners and props to enhance the appearance of your booth! 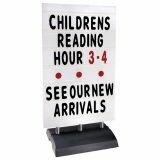 Choosing the right sign boards will make your tradeshow booth the center of attraction as these will make you well spotted. 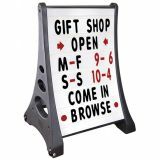 Choosing from our well sorted collection of Portable Signs at Tuff Flags is easy. However, we are only a call away should you need any expert tips from our end. 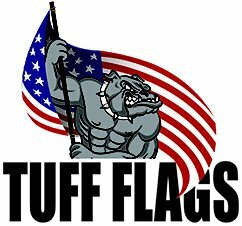 Reach us at (888) 287-3524 or email us at customercare@tuffflags.com for assistance.